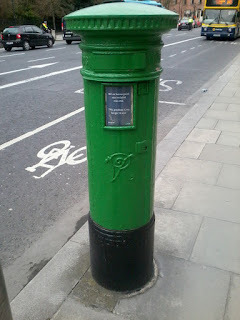 On a recent trip to Dublin, I happened to mention the existence of this blog to a friend. 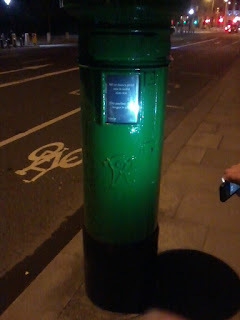 Within thirty seconds, he'd spotted this splendid VR Type B, to be found on the east side of St. Stephen's Green. Alas, as you can see, it's no longer in service, which is a shame because despite its age (it dates from between 1887 and 1901) it's in near mint condition.